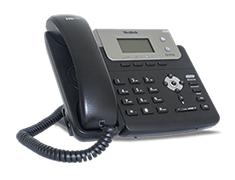 Find out how a VoIP business phone can help your consultant business provide smoother client experiences. Running a consultant business means that you’re often away from your desk. However, this shouldn’t hinder the ability of clients to get in touch with you. With Ooma Office, your small business can have the functionality of an office phone combined with the portability of cell phone service. Answer incoming calls with your desk phone; or, when you’re on the go, answer with the Ooma Office mobile app. Outgoing calls made with the app will always show your work line, creating a consistent and professional presentation for clients. This eliminates the need to explain multiple phone numbers to clients and tell them when to use each. Additionally, if you have remote staff members, the mobile app can provide them with complete access to your business phone network including the ability to transfer calls to other staff members in different locations. Some startups or small businesses opt to rely on personal cell phones rather than using a proper business phone number. However, this can give a bad first impression to clients. With cell phones, incoming calls can’t be transferred between staff members, and client voicemails can be mixed up with personal messages. When you choose Ooma Office for your small business phone, incoming calls are met with a virtual receptionist that can connect the caller with the right person or provide information. This professional first impression is furthered with music on hold, extension dialing, and other advanced calling features. You can also configure an after-hours greeting based on your business hours or holiday schedule to help your customers be in the know about your availability. 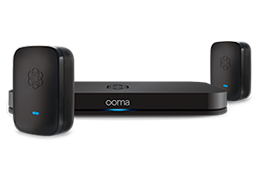 Ooma’s business phone service is affordably priced at just $19.95 per month per user with no contracts. Typically, businesses will save 40 to 60 percent on phone service after switching to Ooma, which can add up to $6,000+ saved over three years. This savings can give you the financial freedom to develop new ways to support your clients’ experience. Find out how much you can save on phone service with the Ooma Office savings calculator. The affordability of Ooma Office phone service doesn’t mean you’re stuck with lower-quality phone service. In fact, the garbled and stuttered audio that can happen with other VoIP providers is mitigated by Ooma’s powerful behind-the-scenes algorithms called PureVoice Technology. When reviewers tested the call quality of Ooma Office, they found a noticeable difference compared to other VoIP phone services. “I was pleased to find that the sound quality was among the best of the VoIP services I’d tested, and everyone I’ve called to test my VoIP services agreed,” said PC Magazine about Ooma Office. Here’s what one small business had to say about our audio quality. With Ooma Office, your phone service can grow as your business does. There’s no need to plan which service tier you’ll need based on projected business growth; simply adjust your phone lines when you need them. Additionally, Ooma Office has been named the #1 VoIP business phone by PC Magazine for the past six years in a row. Ooma had top scores in overall reliability, and 69 percent of users are likely to recommend the service, much higher than the industry average of 23 percent. With Ooma phone service, there are many included features that would cost extra with other providers. These features can help you be more effective in managing your business communications. For example, Ooma Office includes ring groups to help avoid callers going to voicemail, call logs, one conference bridge per user, Call Park, call logs, multi-device ring, voicemail audio to email, virtual fax, call forwarding during device outages, and more. Is your consultancy working globally? Some phone systems might hold you back, but with Ooma, international calls cost just pennies per minute. For example, per-minute calling rates are just 2.5 cents for China, 2.8 cents for the U.K., and 2.9 cents for India. Unlimited calls to Canada and Mexico are included in your Ooma Office phone service. Moreover, your Ooma phone service continues to be valuable even when you’re traveling overseas. With the mobile app, you won’t need to swap SIM cards or use other tactics to access phone service. Instead, you can make and receive calls with the mobile app as usual by using your internet connection. Keep in mind that connecting to Wi-Fi can help you avoid international data rates. Learn about all the ways Ooma Office can help your consultancy business stay connected and productive.